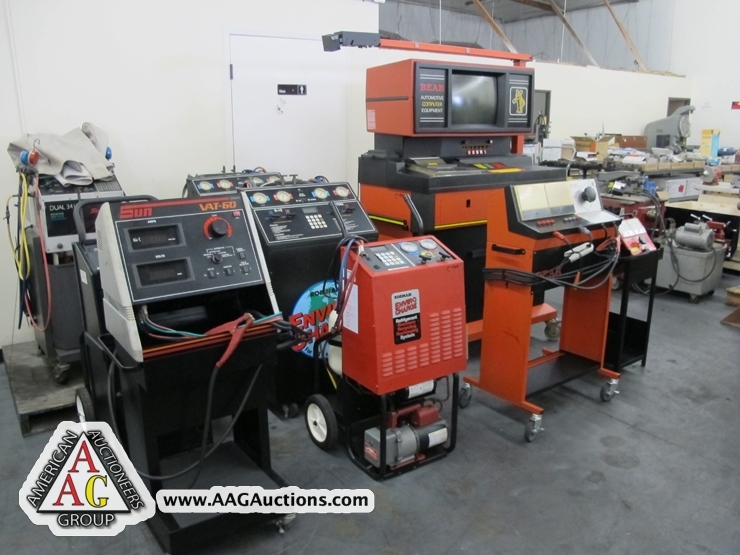 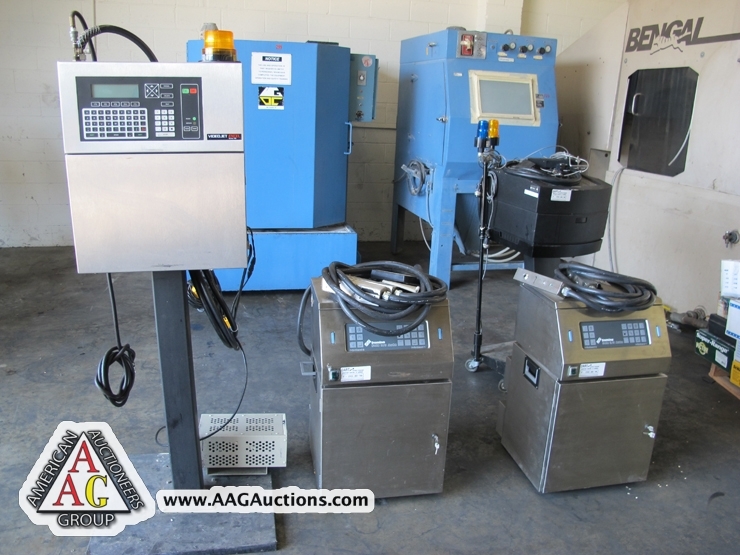 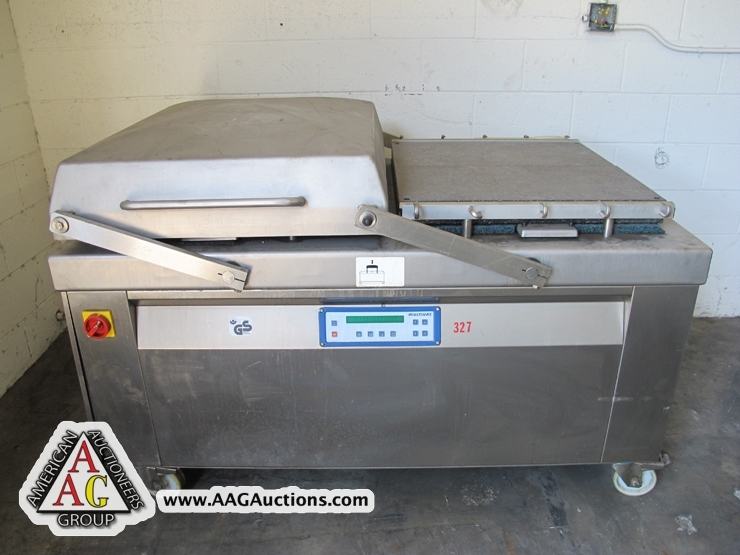 AUCTION DATE: THURSDAY, AUGUST 2, 2012 – STARTING @ 11:00 A.M.
BEAR AUTOMOTIVE MODEL 42-90B EMISSION ANALYZER. 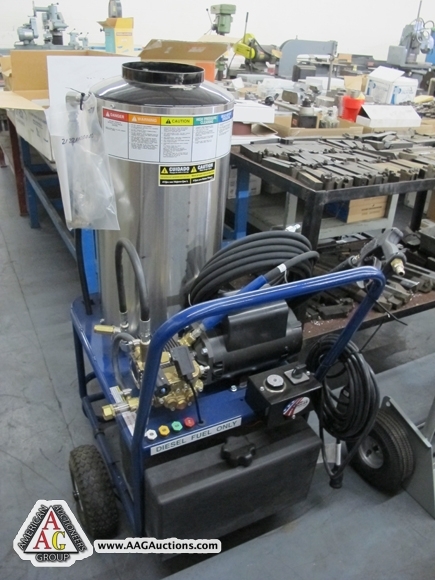 2) ENVIRO CHARGE REFREGATION RECOVERY UNITS, R-12. 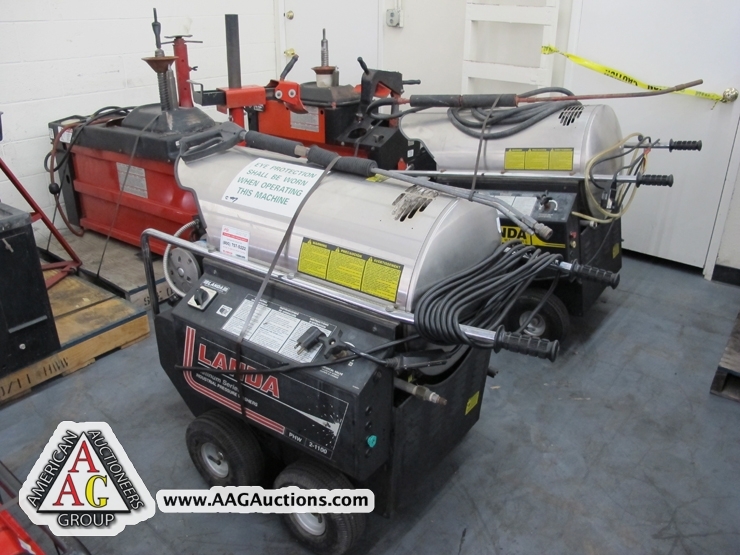 2) LANDA PHW PRESSURE WASHERS. 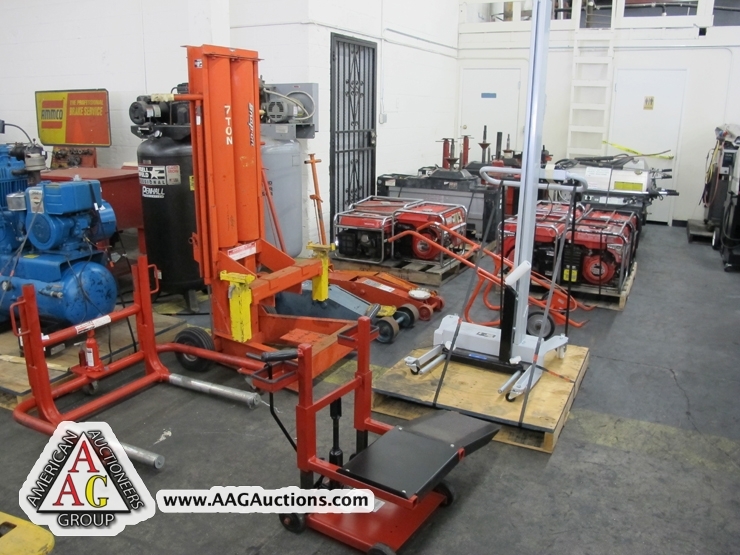 VARIOUS JACKS, SNAP ON 7 TON, AND LIFTS. 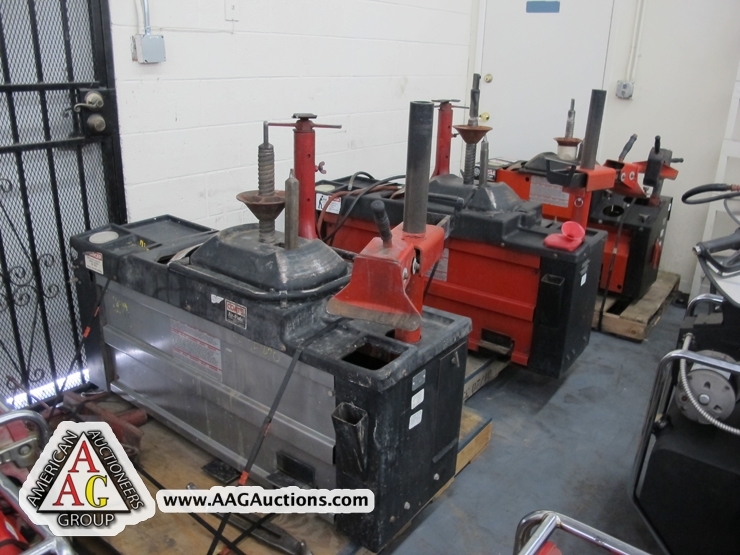 BERCO MODEL RSC-950 SURFACE GRINDERS. 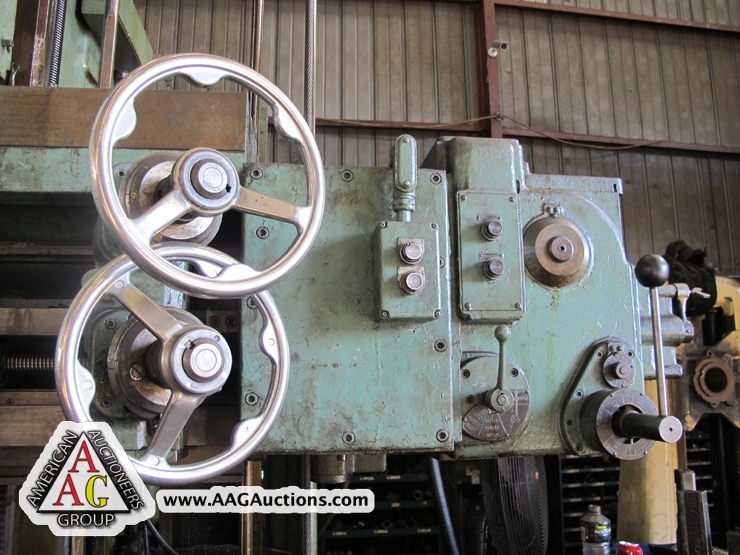 AMMACO SUPER 6 TURNING AND FACING LATHE. 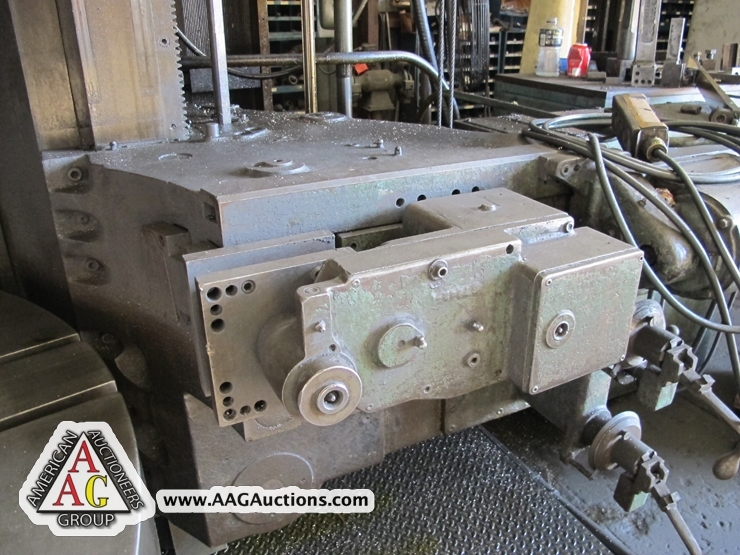 GEO OLCOTT ROTARY PARTS WASHER. 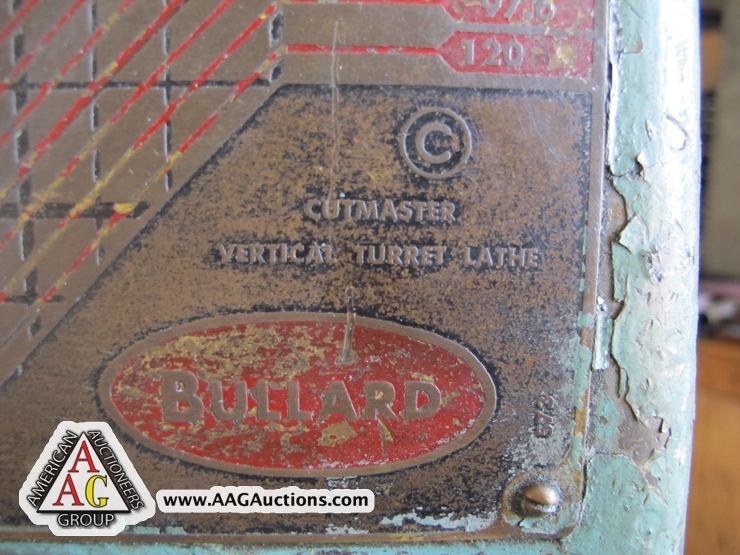 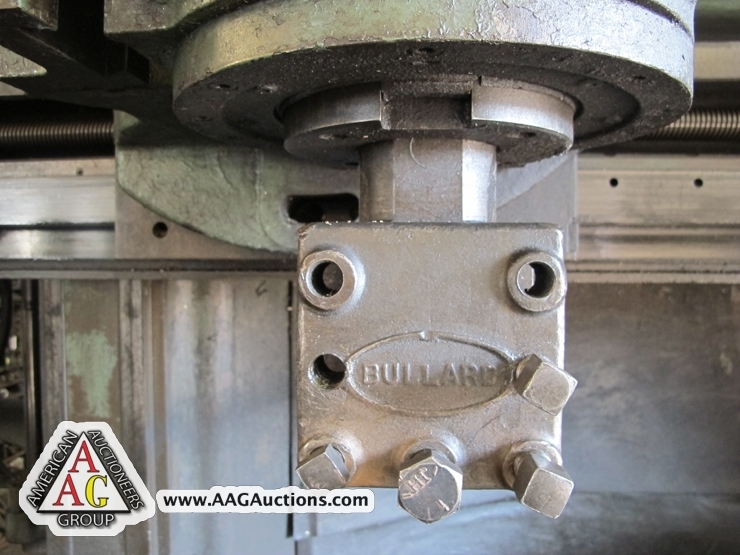 BULLARD CUTMASTER 74’’ VTL WITH 2) VERTICAL BORING HEAD, 1) 4 POSITION SIDE TURRET, 3.28 – 120 RPM, 50 HP MOTOR. 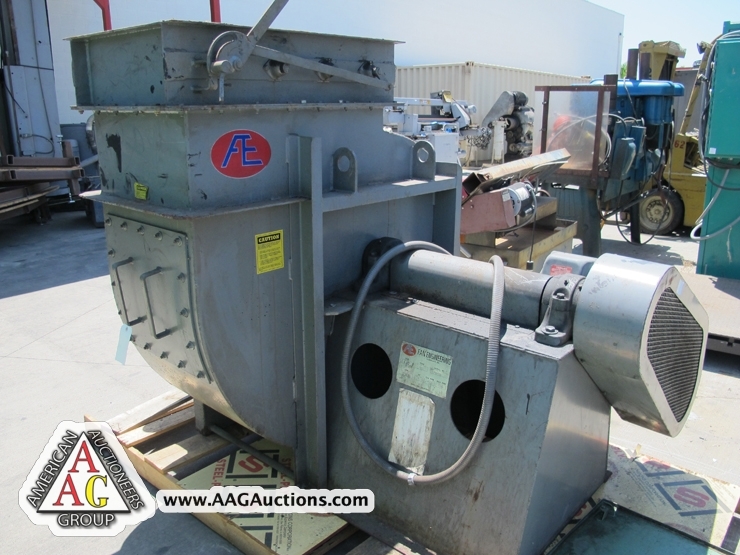 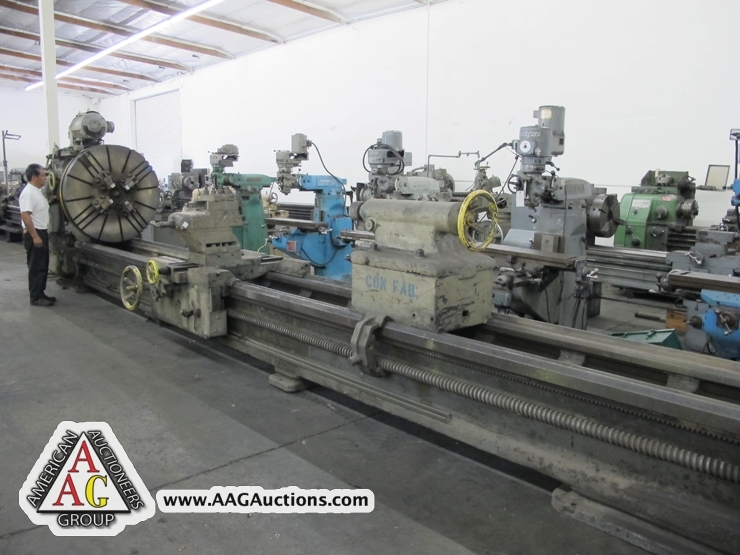 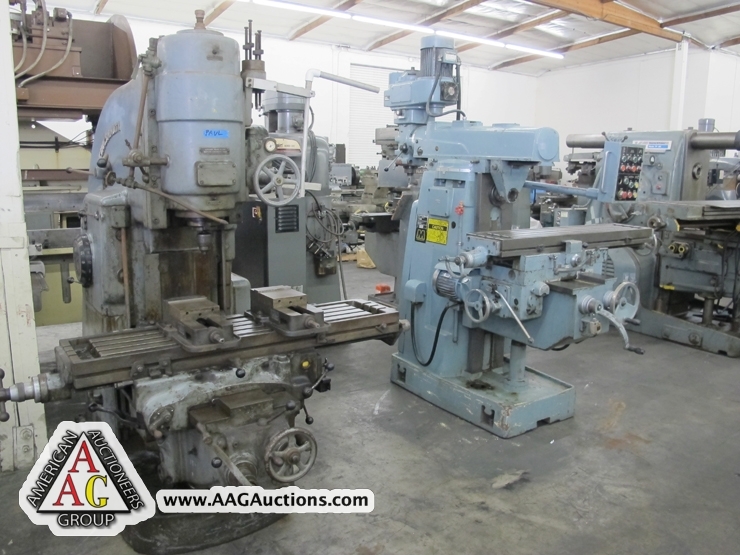 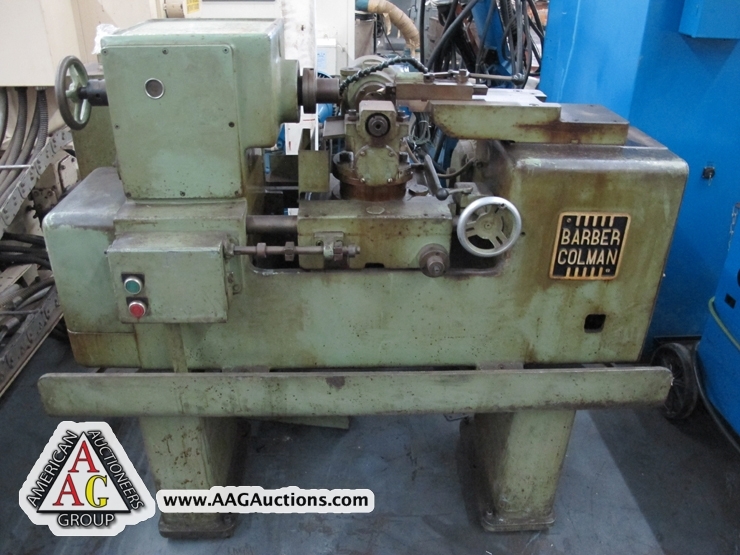 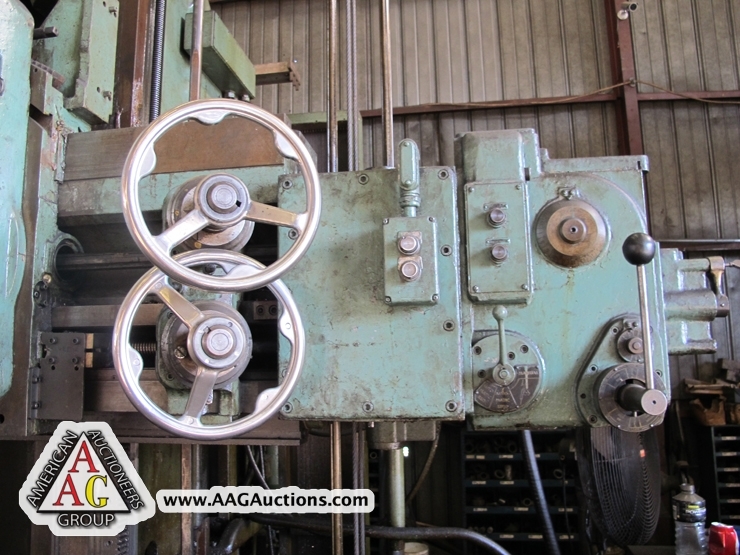 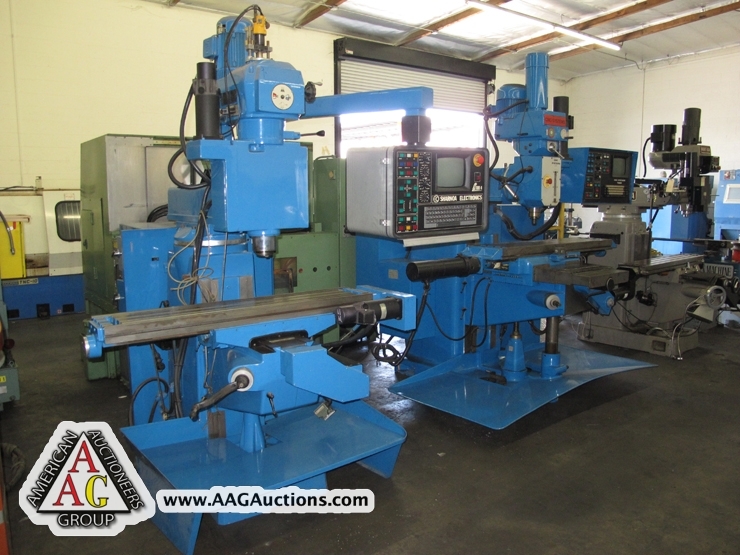 AMERICAN TOOL WORKS, 42’’ X 20FT ENGINE LATHE, 48’’ 4 JAW CHUCK, 2 – 150 RPM. 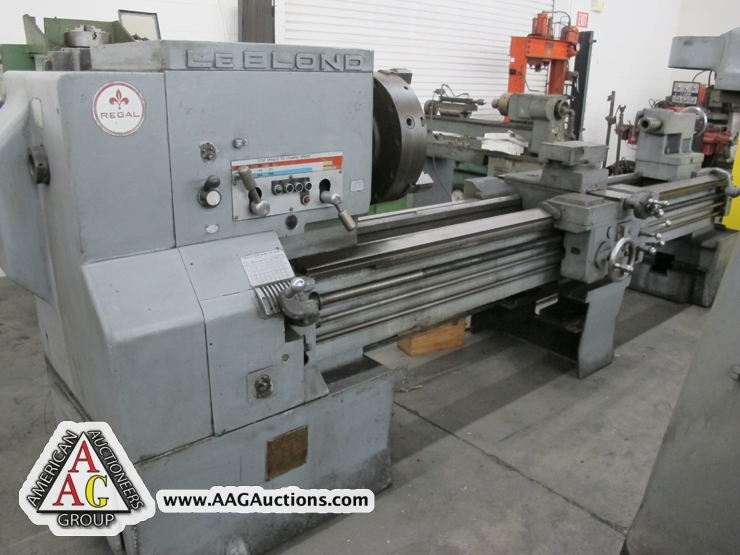 LEBLOND 28’’ X 20FT ENGINE LATHE WITH 2’’ SPINDLE HOLE, 15’’ CHUCK. 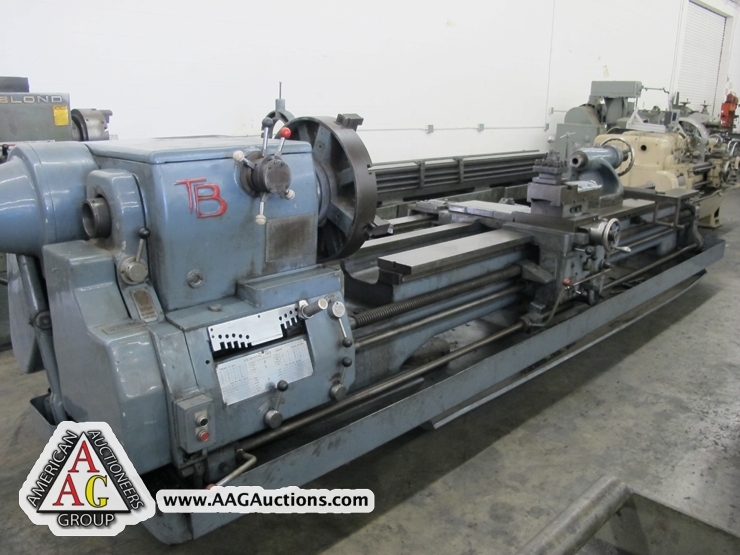 BINNS & BERRY 28’’ X 144’’ ENGINE LATHE WITH 4’’ SPINDLE HOLE, GAP, 24’’ CHUCK. 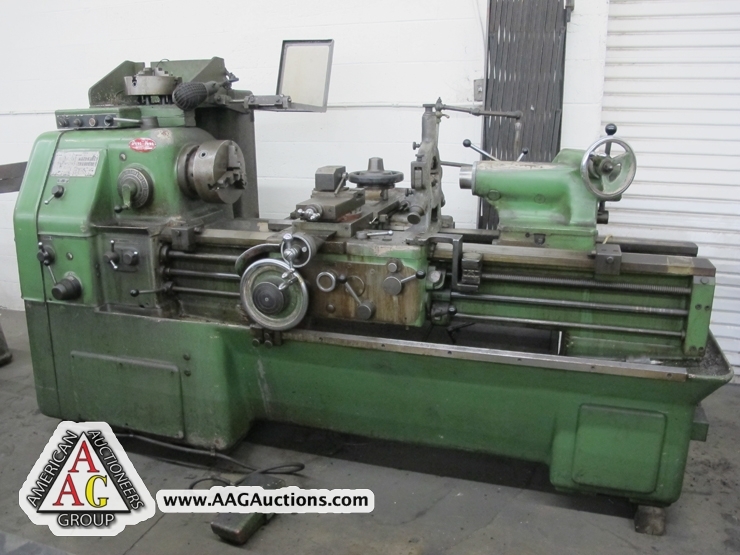 TOS SN55, 20’’ X 10FT GAP ENGINE LATHE. 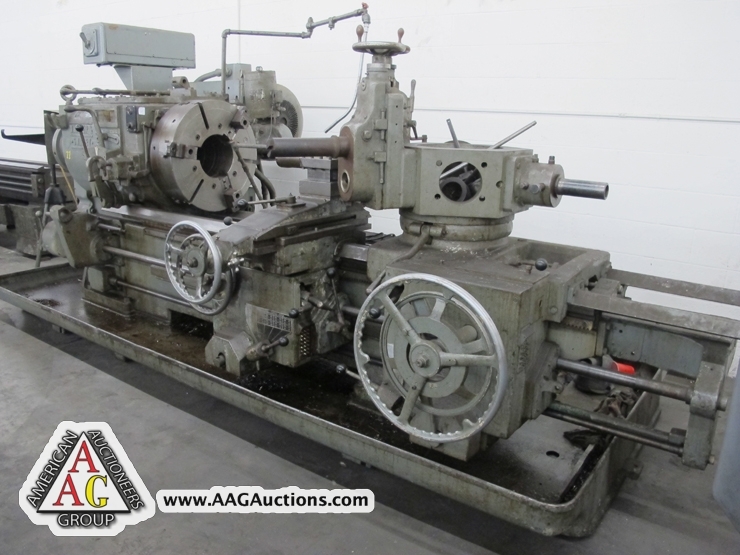 WARNER SWAYSEY TURRET LATHE, 24’’ CHUCK, 8’’ HOLE, M-1500, LOT NO. 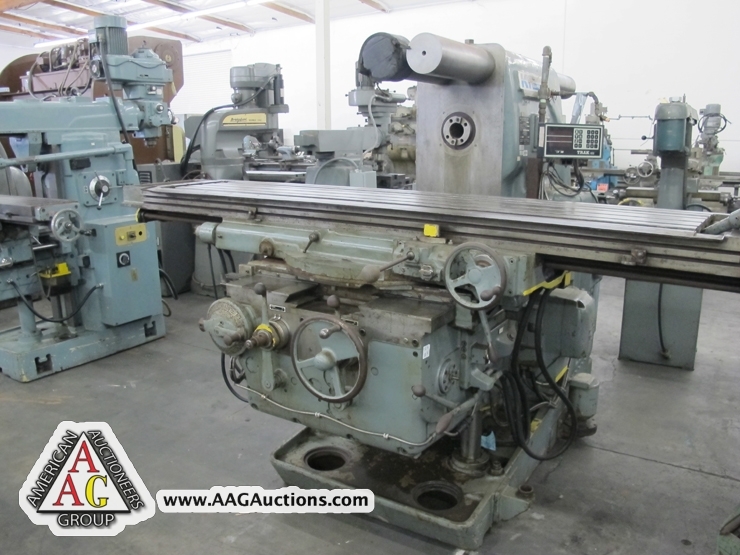 143, S/N 1527326. 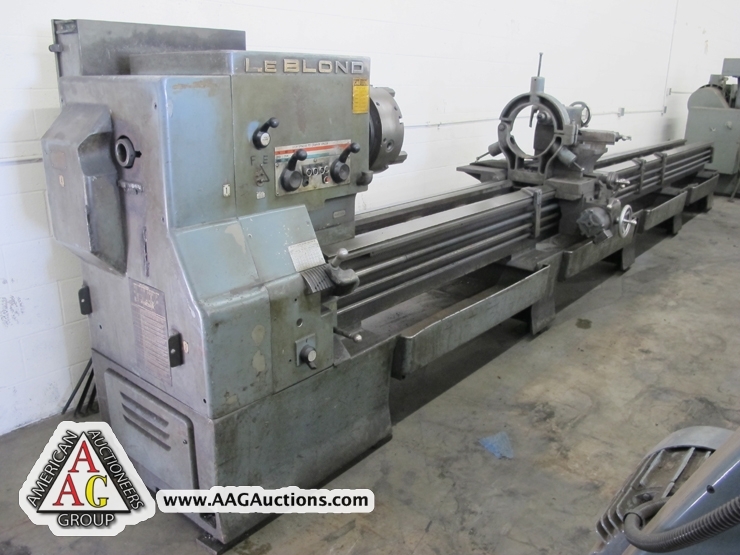 DONG YUNG MODEL LS ENGINE LATHE 16 X 48. 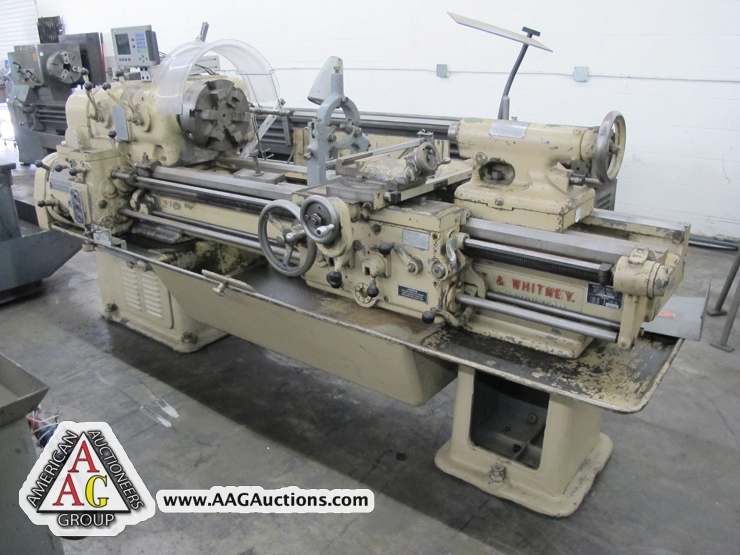 PRATT AND WHITNEY 16’’ X 54’’ TOOL ROOM LATHE. 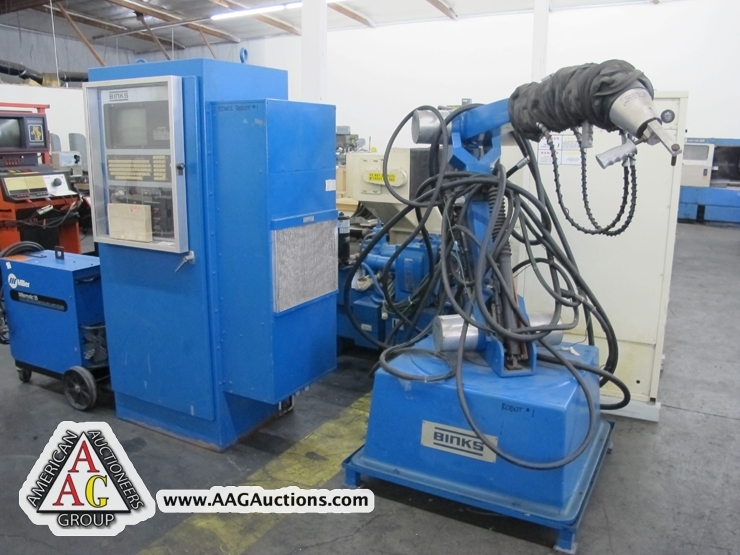 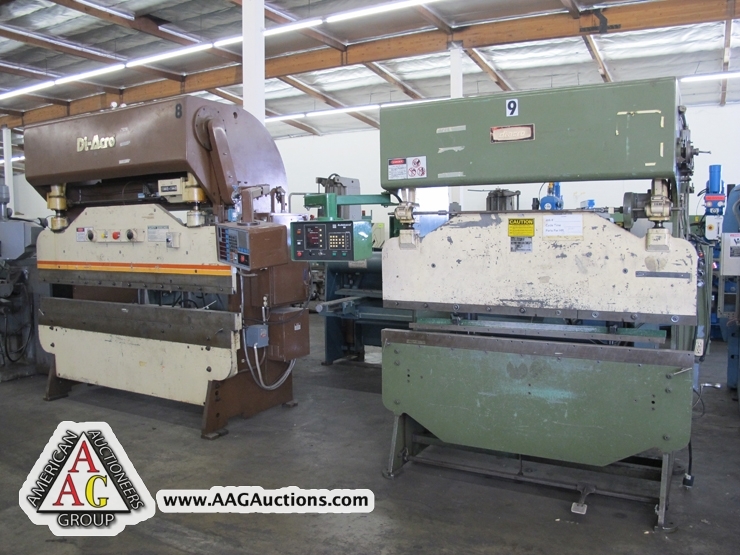 1987 NEW GALLMEYER & LIVINGSTON MODEL 50 TOOL & CUTTER GRINDER, S/N 50508. 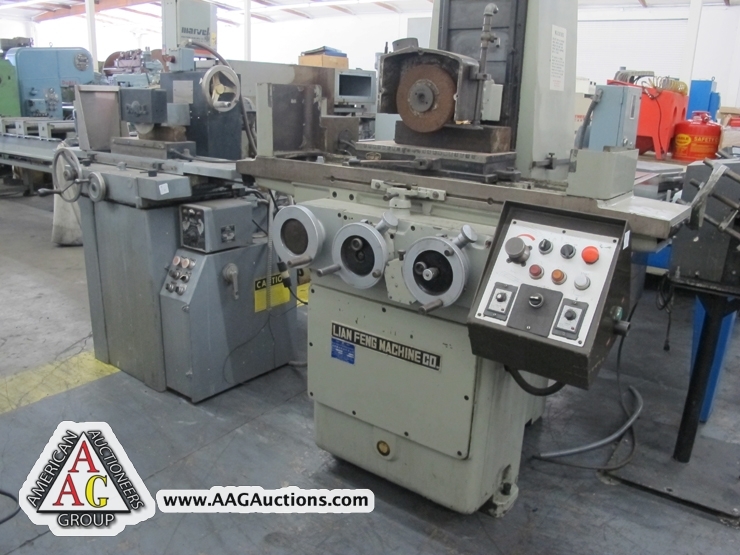 DO ALL 6 X 18 SURFACE GRINDER. 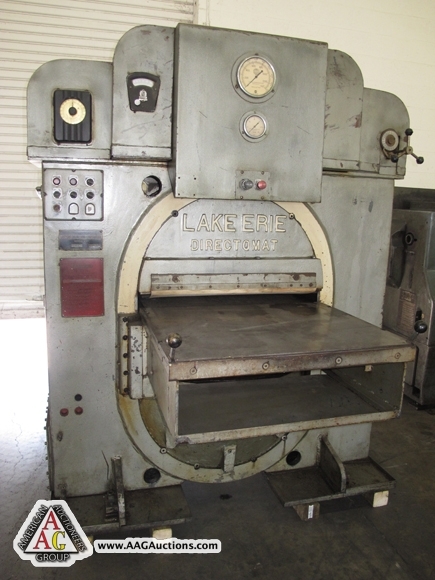 GARDNER DENVER MODEL 1 ½ SURFACE GRINDER. 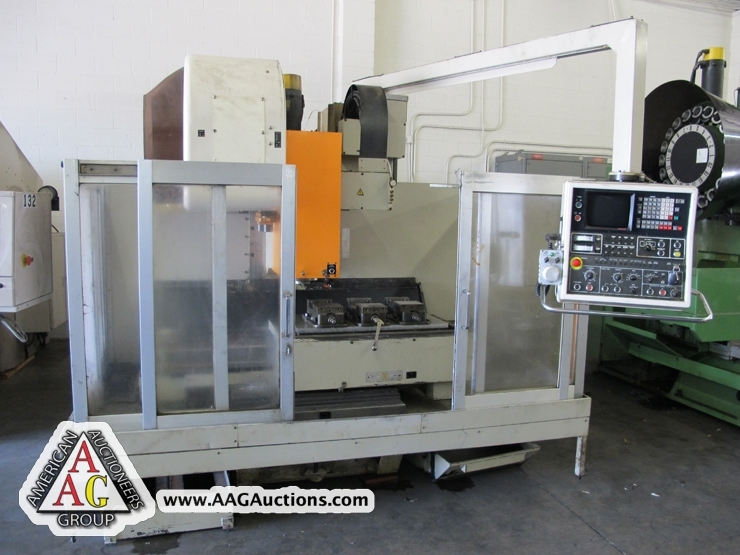 LIAN FENG LF- 8 X 18 HYD SURFACE GRINDER. 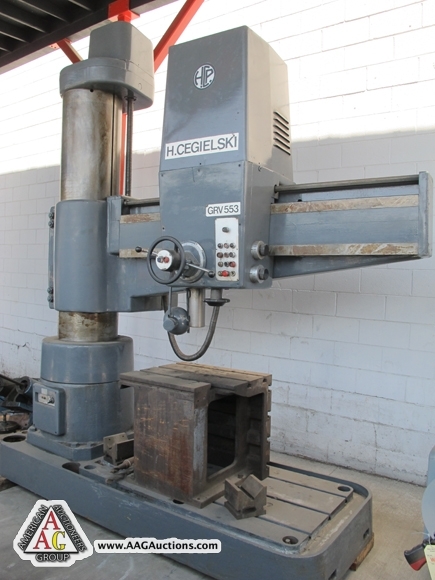 COMET VERTICAL MILL W 3) POWER FEEDS AN DRO. 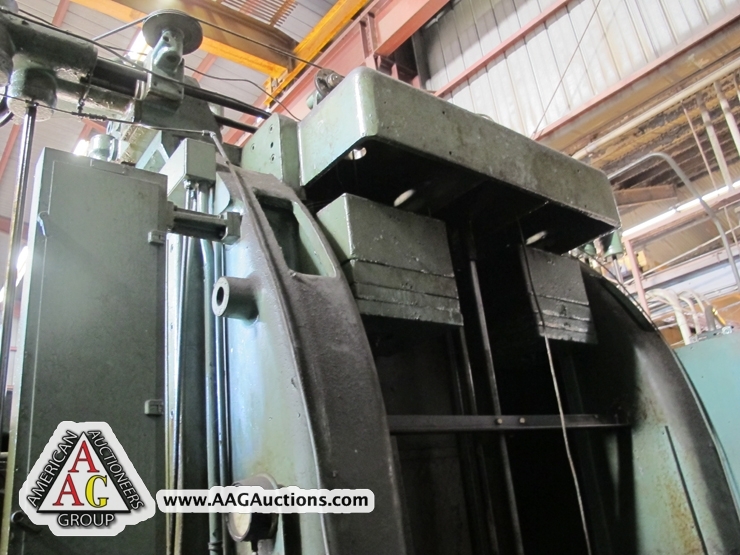 10) BRIDGEPORT VERTICAL MILLS, MACHININST MILLS AND ETC. 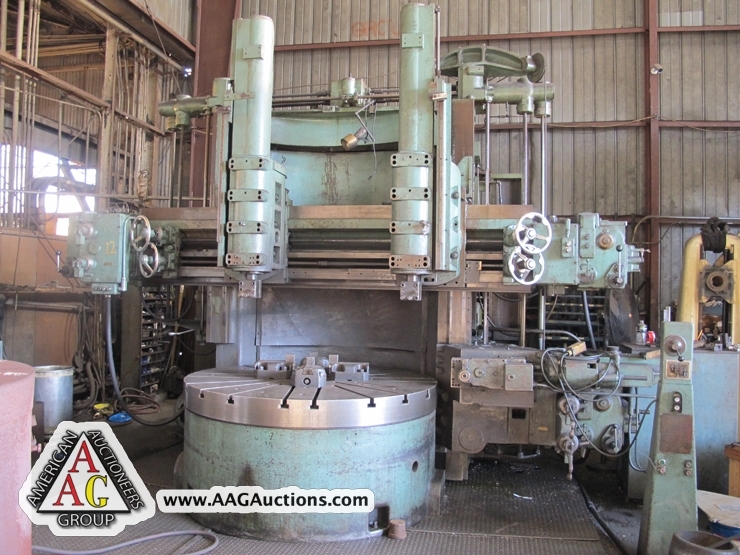 NUGIER 40 TON H FRAME PRESS. 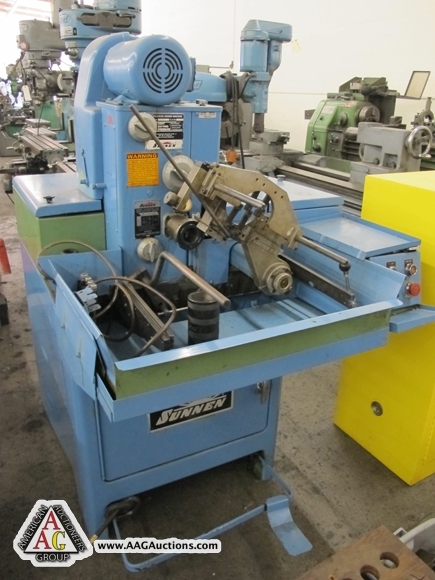 SUNNEN MODEL MBC-1803 HONE WITH STROKER, S/N 91100. 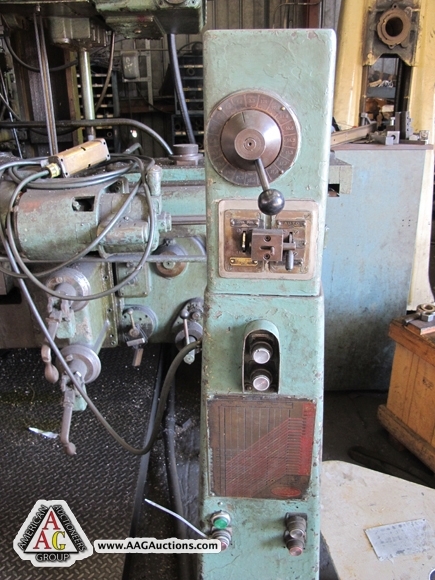 CINCINNATI MODEL 2ALVIV-2 VERTICAL MILLING MACHINE. 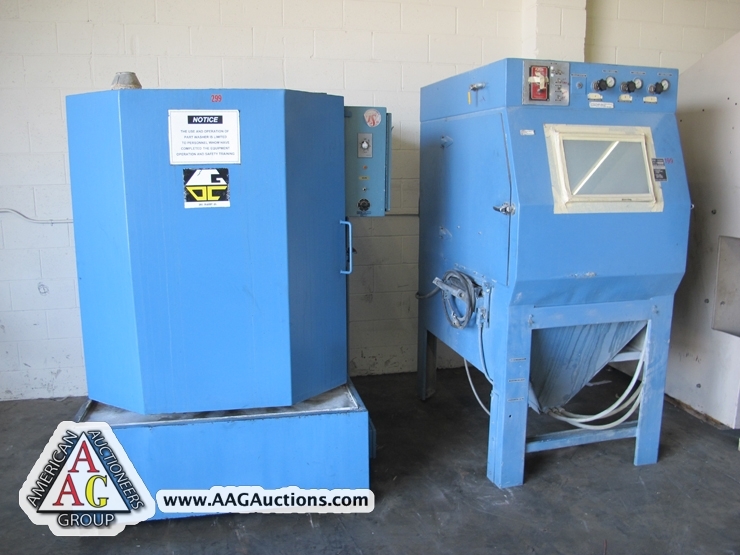 SUPERMAX YCM-2GUS, VERTICAL AND HORIZ MILL. 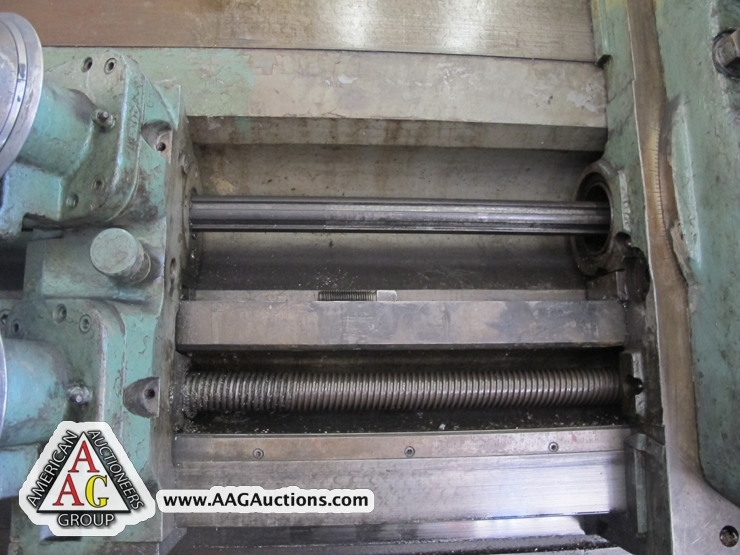 SHARP MODEL KMA2 VERTICAL GEAR HEAD MILL, S/N 4V207. 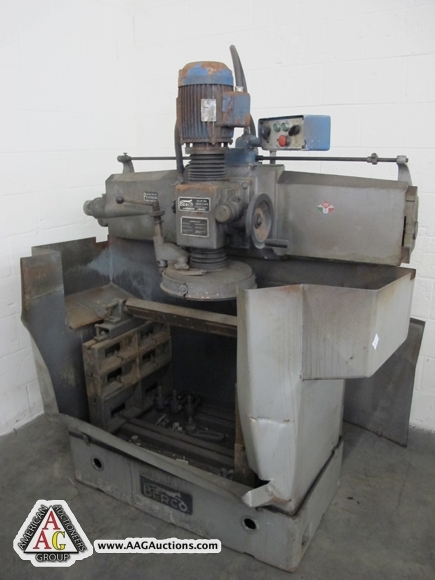 K & T TF-20 HORIZ AND W/ 2) VERTICAL HEAD MILL, 19.5’’ X 96’’ TABLE AND DRO. 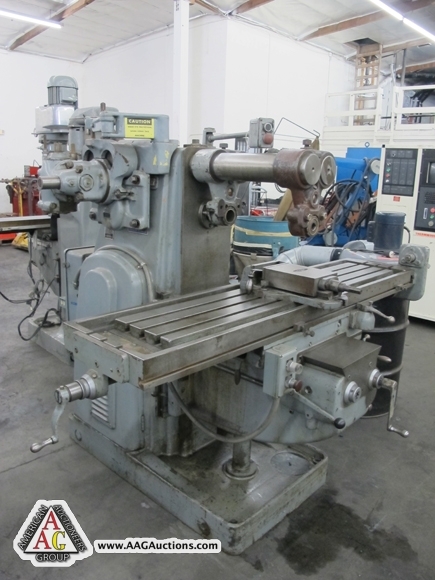 K & T 10HP-2CK HORIZ AND VERTICAL MILL. 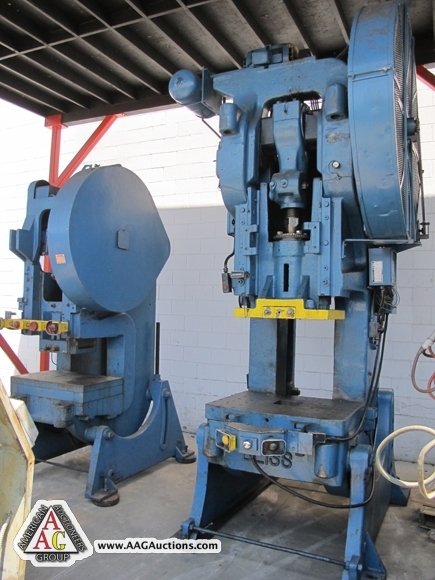 K & T NO. 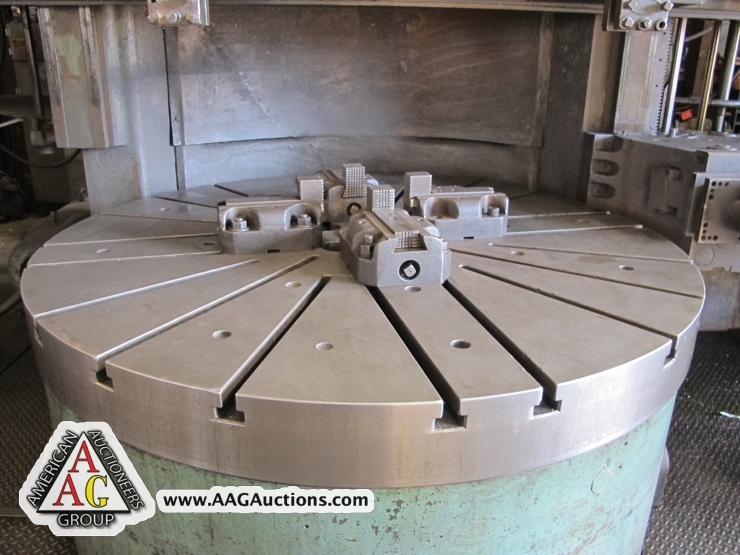 3 HORIZONTAL AND VERTICAL MILL. 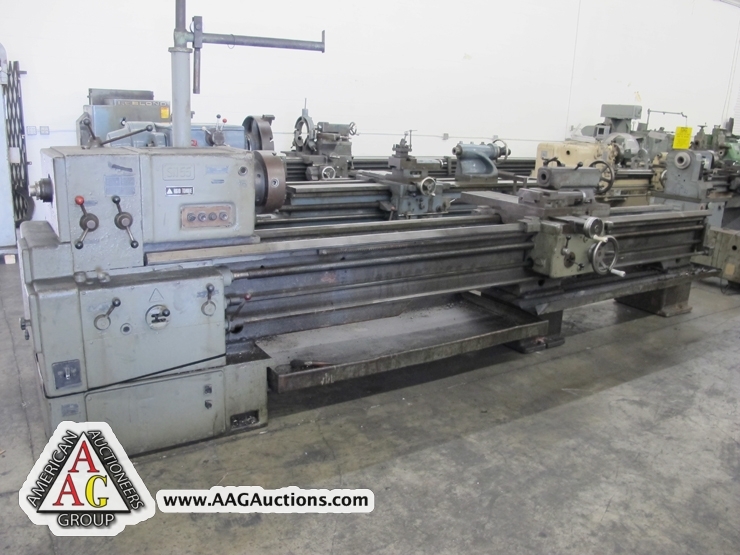 G & L MODEL 340 HBM, 48’’ X 74’’ T SLOTTED TABLE, S/N 6447. 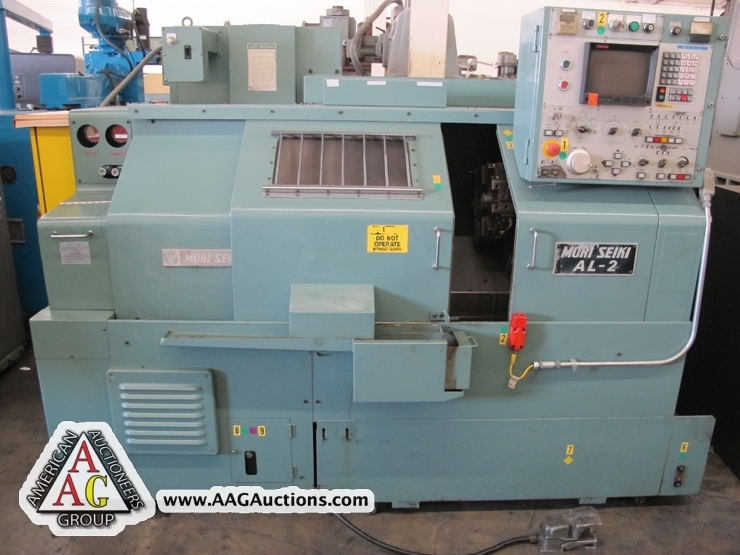 MORI SEIKI AL-2 CNC LATHE WITH FANUC 10TE CONTROL, 8’’ CHUCK, TAIL STOCK. 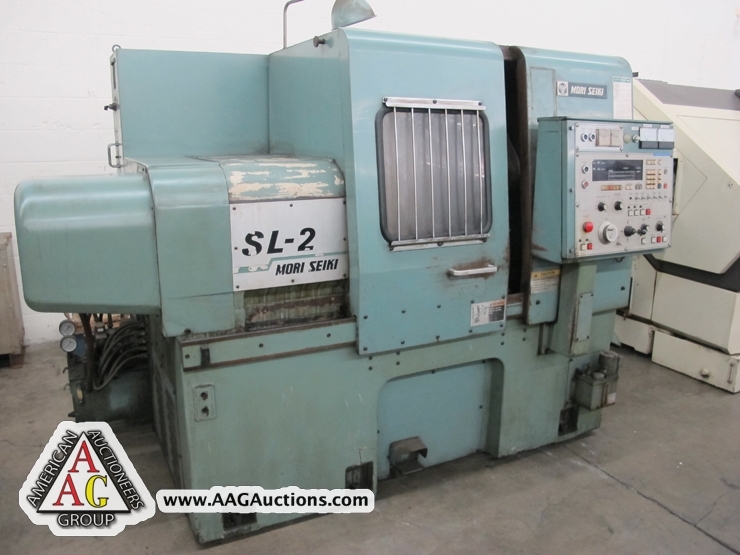 MORI SEIKI SL-2 CNC LATHE. 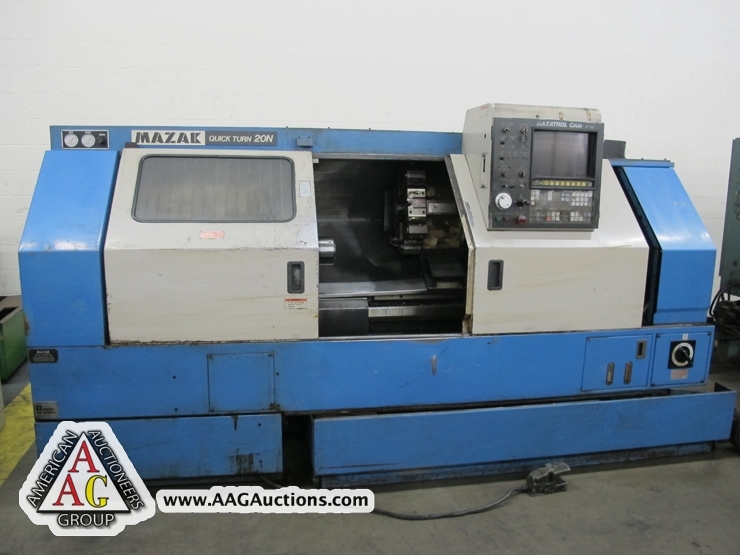 1986 MAZAK QT20/UNI CNC LATHE WITH CAM-T2 CONTROL, 10’’ CHUCK, 8 POSITION TURRET, S/N 68266K. 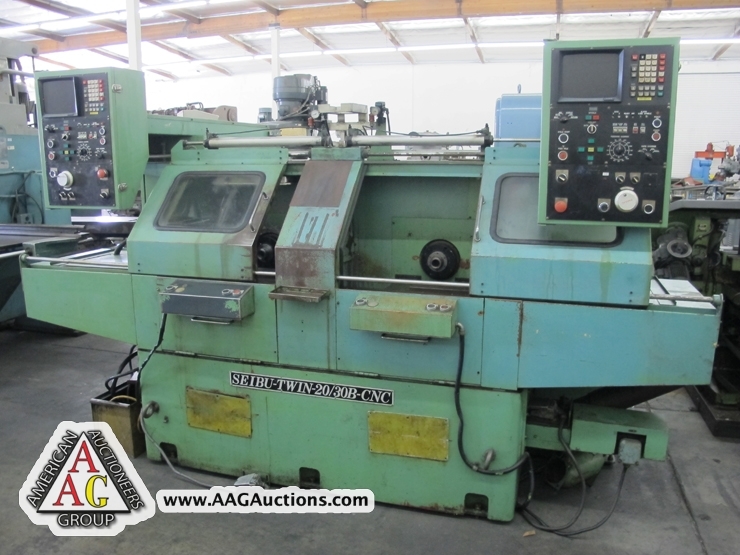 1994 TAKUNG TNC-10 CNC GANG TOOL LATHE WITH FANUC OT CONTROL, CHIP CONVEYOR. 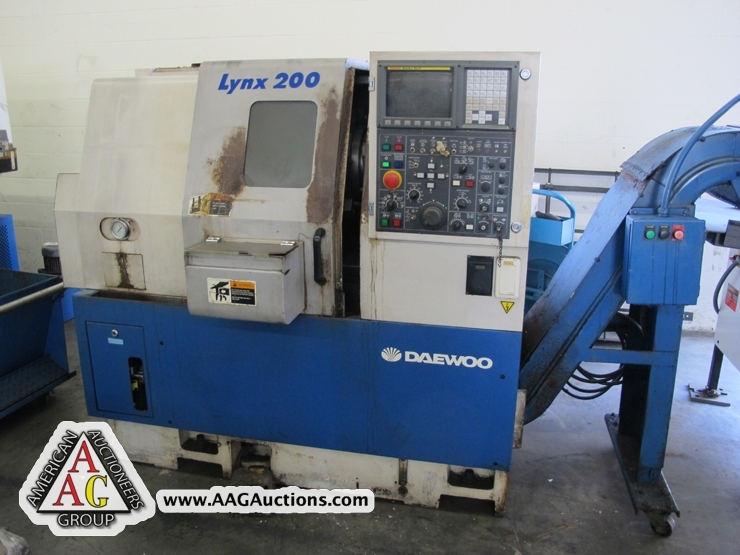 DAEWOO LYNX 200 CNC LATHE WITH FANUC 21-T CONTROL, CHIP CONVEYOR. 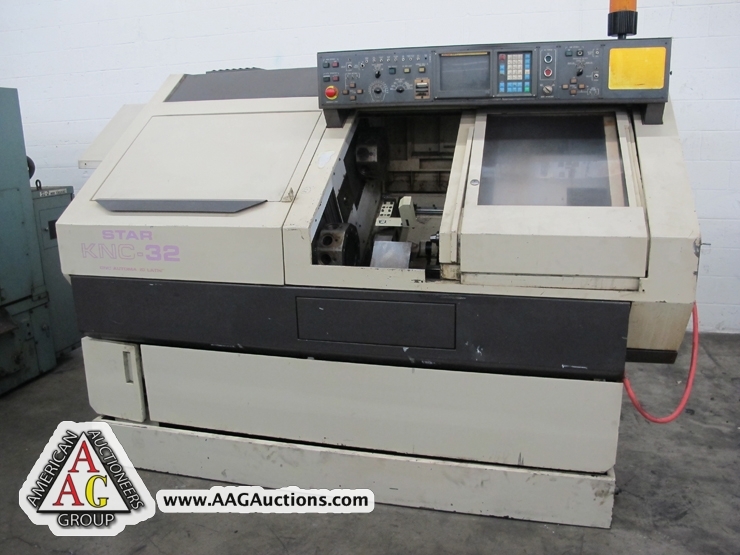 STAR KNC-32 CNC SCREW MACHINE WITH FANUC OTT CONTROL, S/N 006362. 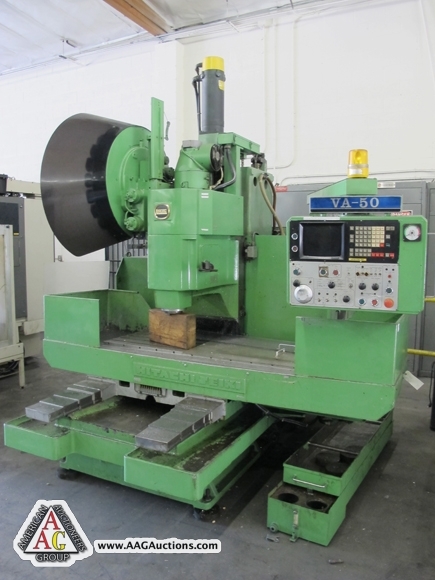 HITACHI SEIKI VA-50 CNC VMC, FANUC 6M CONTROL, 20 ATC, 50 TAPER. 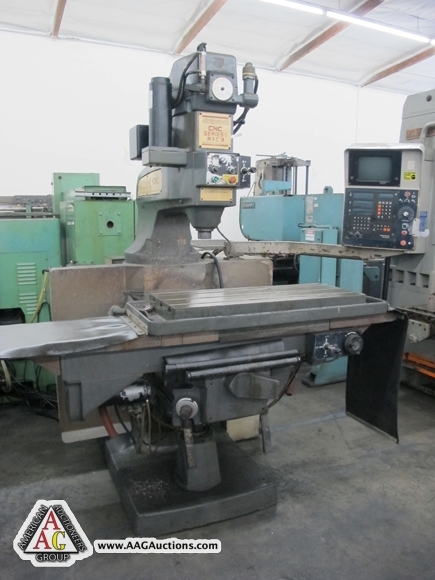 MITSUI SEIKI VR3A CNC VMC, WITH FANUC 6M CONTROL, 20 ATC, 40 TAPER, S/N 415. 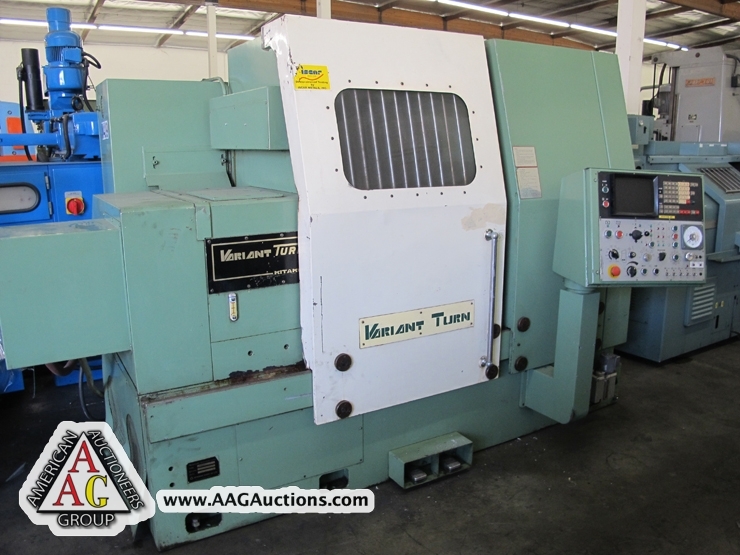 VARIAN TURN CNC LATHE WITH FANUC 6T CONTROL. 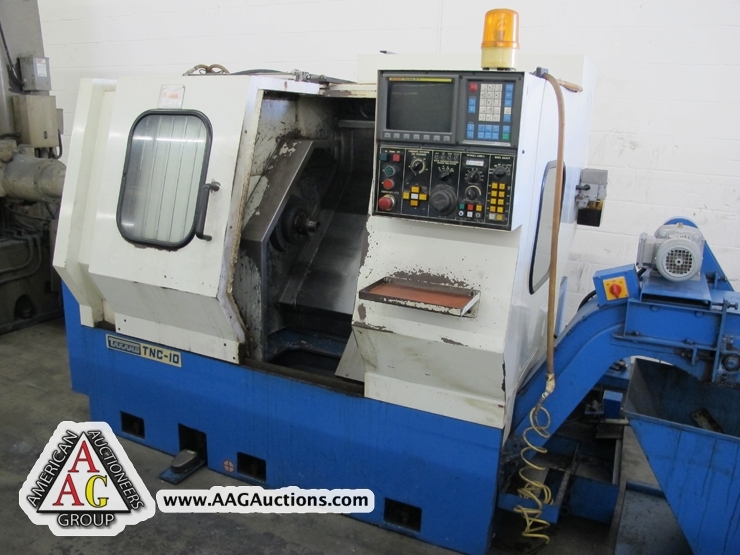 GALAXY CNC LATHE WITH FANUC 6T, 7 POSITION TURRET. 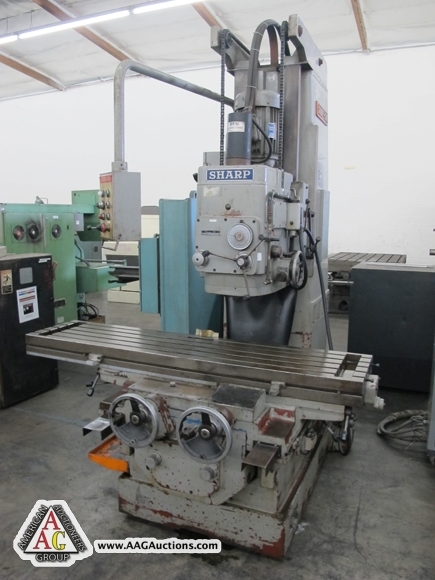 SEIBU TWIN 20/30B CNC TWO HEAD HMC WITH FANUC 3T CONTROL. 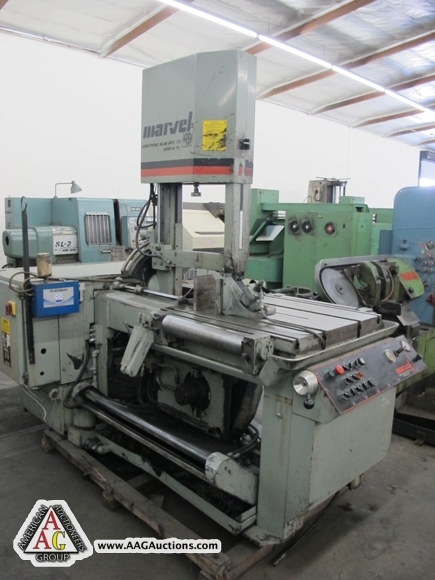 SHARNOA AND CNC SYTEMS BED MILLS. 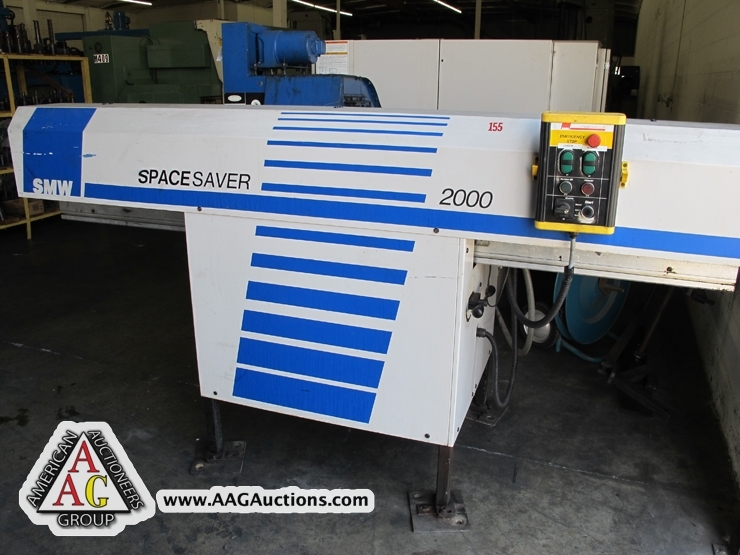 SMW SPACESAVER 2000 BAR FEED.PRATT AND WHITNEY 16’’ X 54’’ TOOL ROOM LATHE. 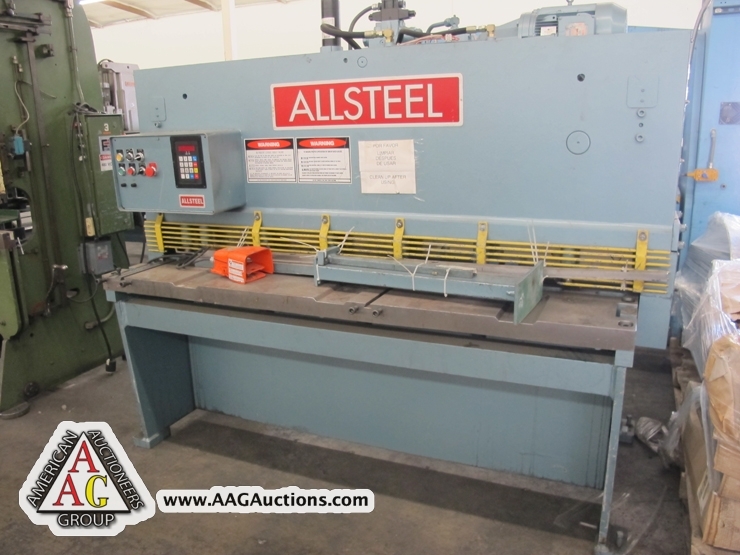 ALL STEEL MODLE 10G-6, 6FT X 10 GA POWER SHEAR, W/ CNC BACK GAGE, S/N M-101280 CHICAGO 10FT X 10 GA HYD PRESS BRAKE MODEL 10135. 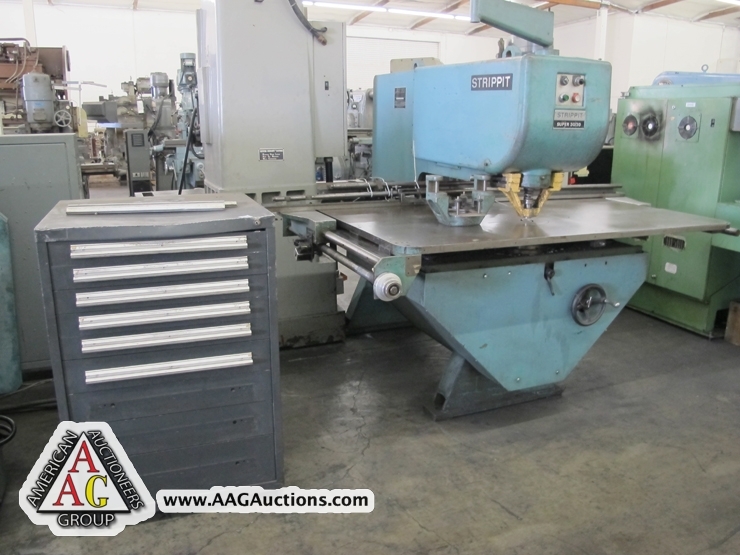 DI ACRO 55-8 CNC, 8FT X 55 TON HYD PRESS BRAKE. 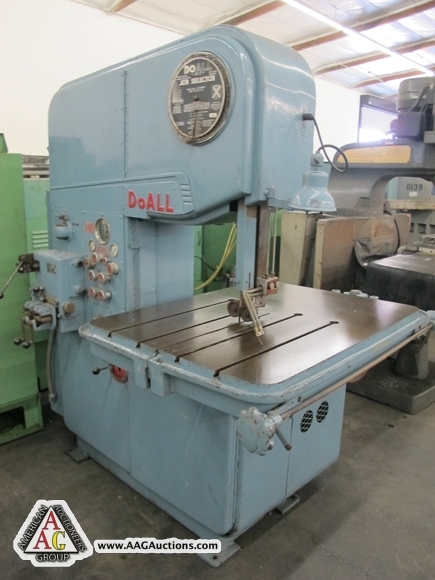 DI ACRO 14-72, 6FT X 14GA HYD CNC PRESS BRAKE. 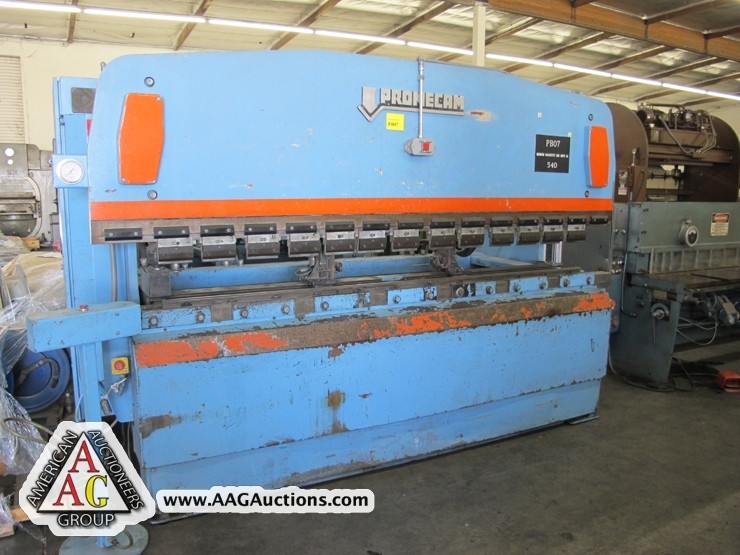 PROMECAM 10FT HYD PRESS BRAKE. 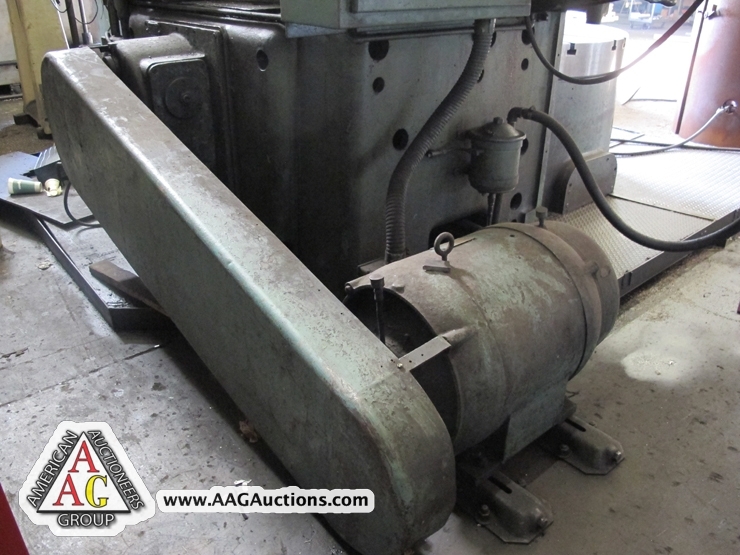 CHCICAGO 8FT X .25’’ HYD LEAF BRAKE. 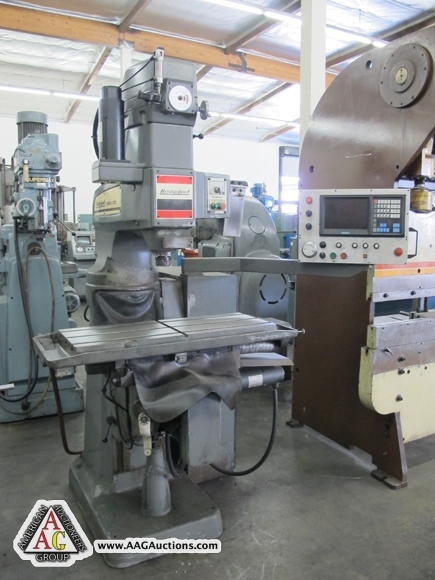 TILTING BAND SAW WITH CONVEYOR. 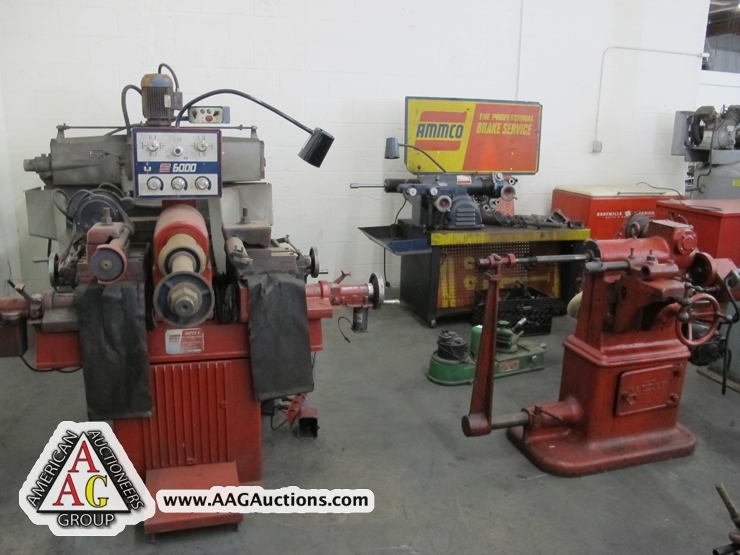 DO ALL MP-20, 20’’ VERTICAL BAND SAW WITH WELDER. 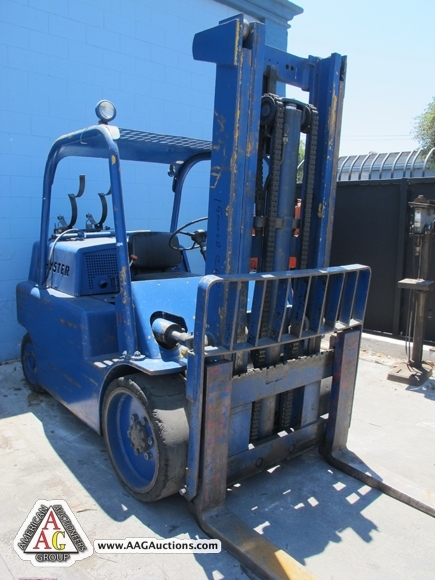 BLISS NO. 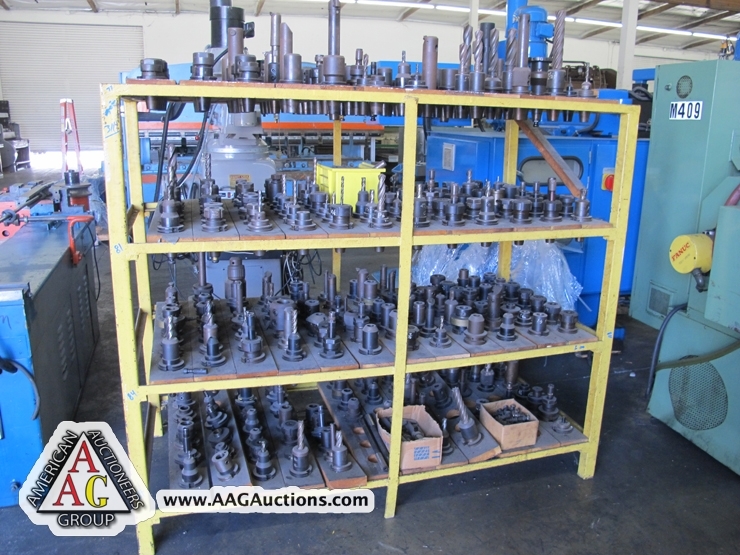 28 OBI PUNCH PRESS (WELDED). 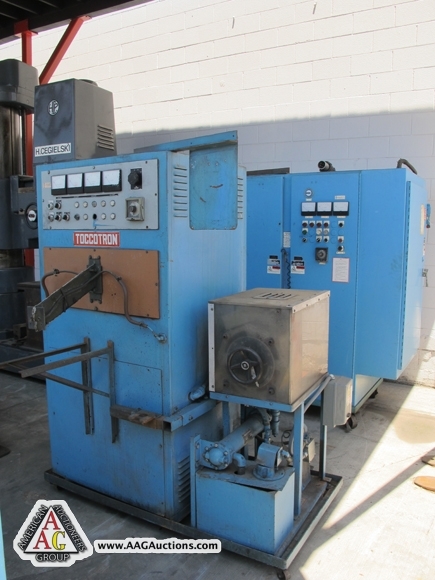 UNI HONE SAND BLAST CABINET. 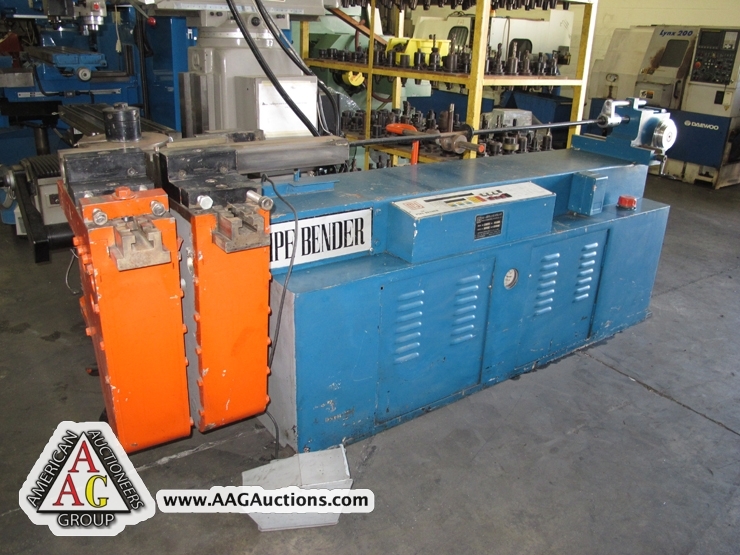 NC PIPE BENDER MODEL MJ-NC-50. 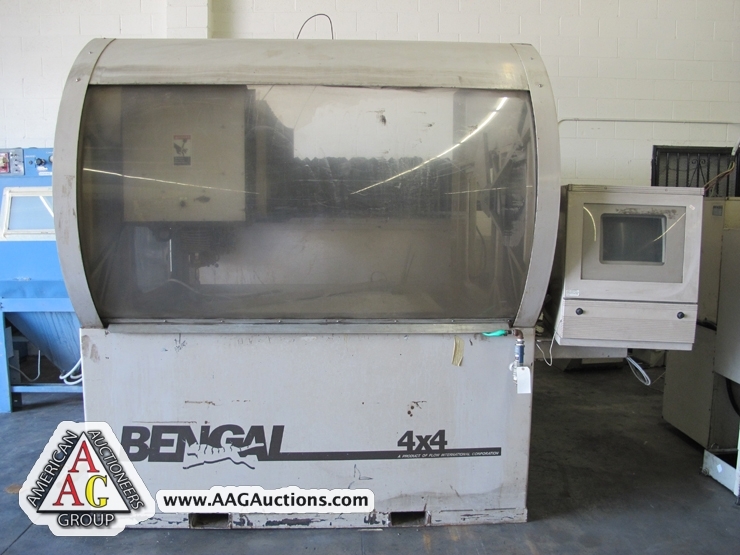 FLOW BENGAL 4 X 4 WATER JET, 2 AXIS, WITH COUGAR II PUMP. 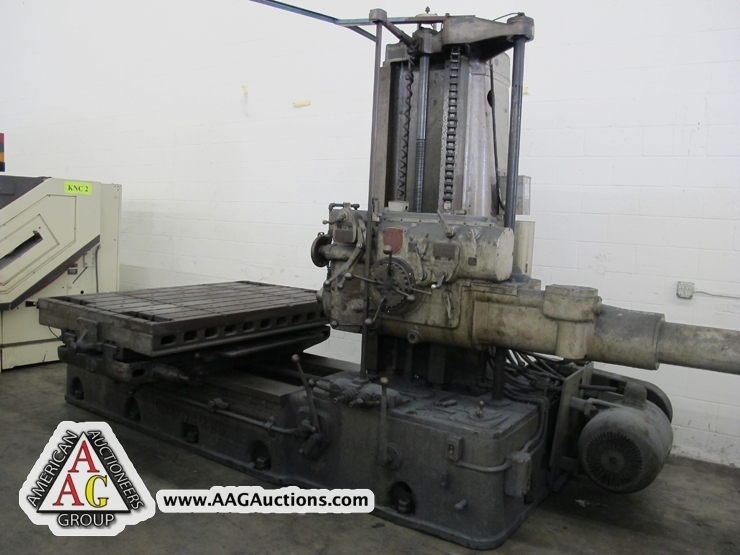 LAKE ERIE DIRECTOMAT 800 TON HYD PRESS, 24’’ X 32’’ PLATTEN, S/N 3876. 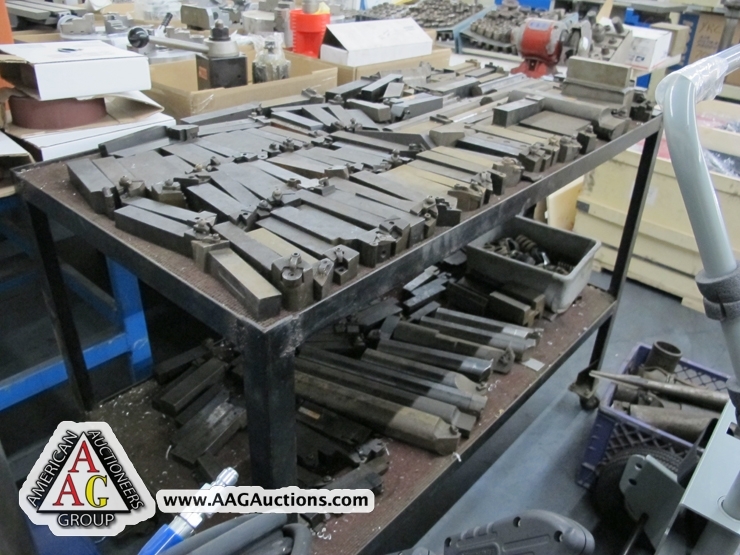 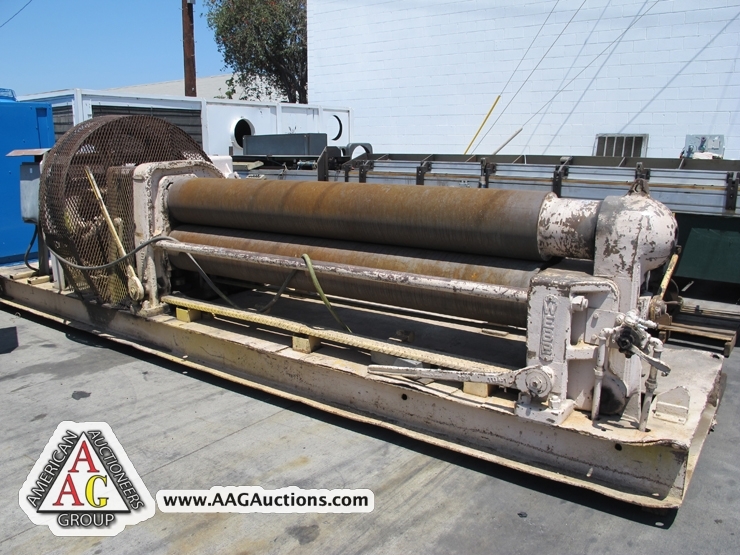 WEBB MODEL 9L, 8FT X 5/8 INITIAL PINCH PLATE ROLLS, MECHANICAL, 13’’ ROLLS, S/N 5175. 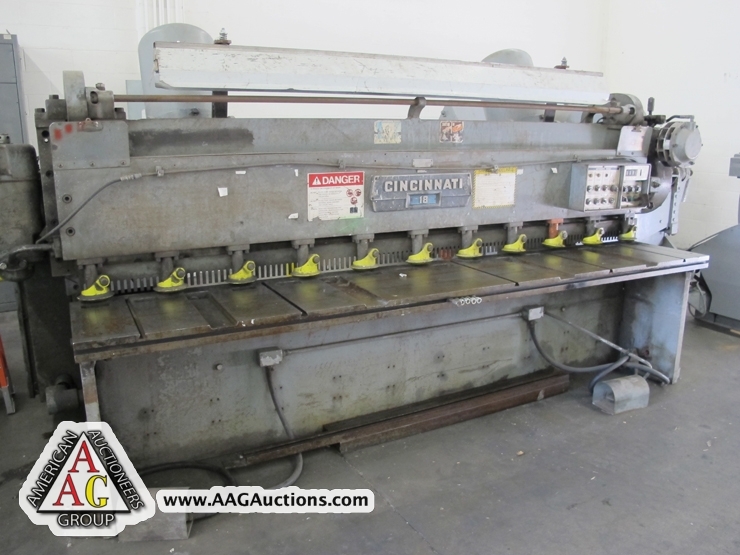 CINCINNATI NO. 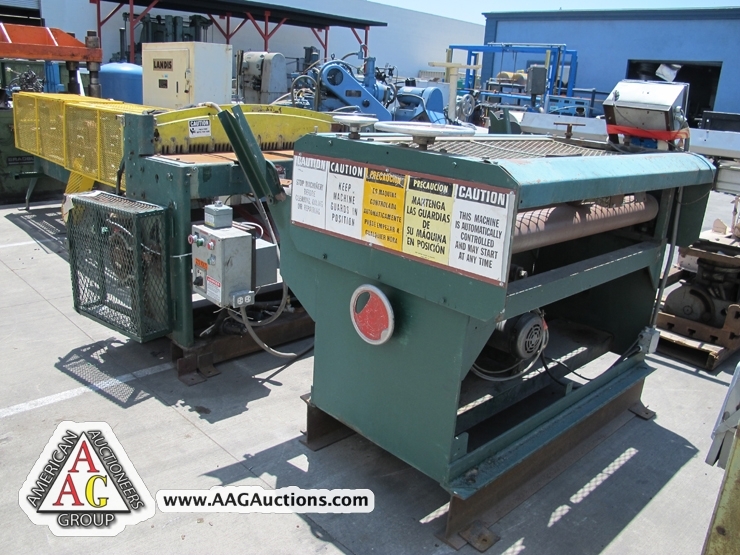 1810, 10FT X .25’’ MECHANICAL POWER SHEAR, W/ F.O.P.B.G, S/N 34341. 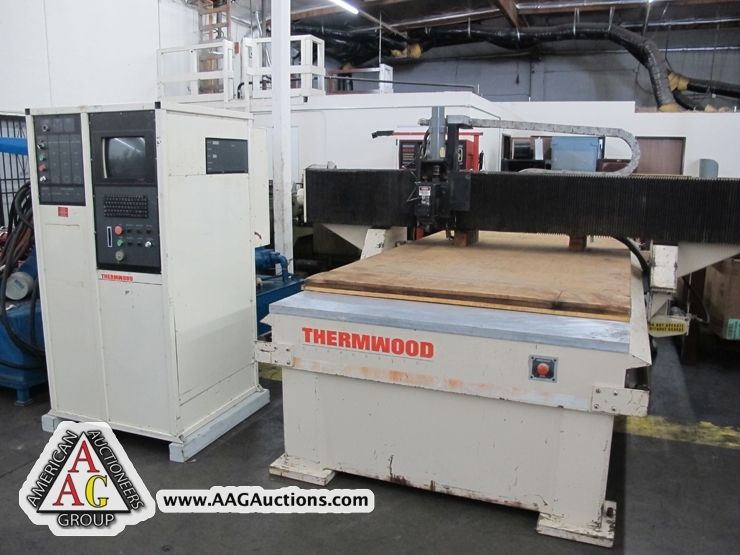 1988 THERMWOOD 5FT X 10FT CNC ROUTER, MODEL C-50, 91000 CNC CONTROL. 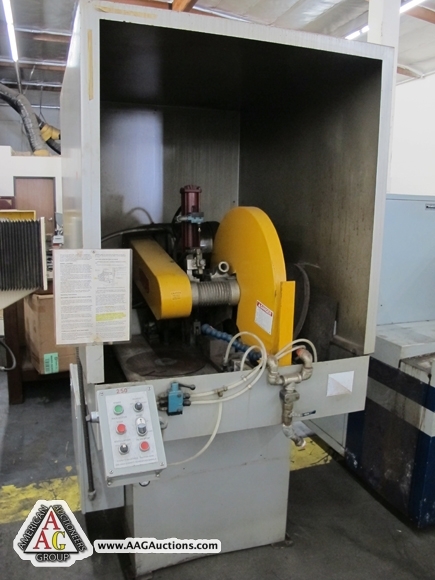 FASTENER ENG WIRE DRAW MACHINES. 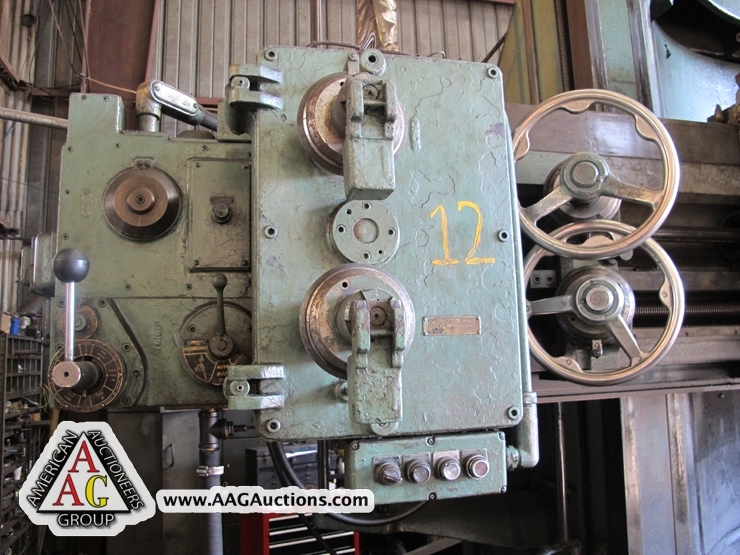 EVERETT MODEL 20 CUT OFF SAW, ENCLOSED. 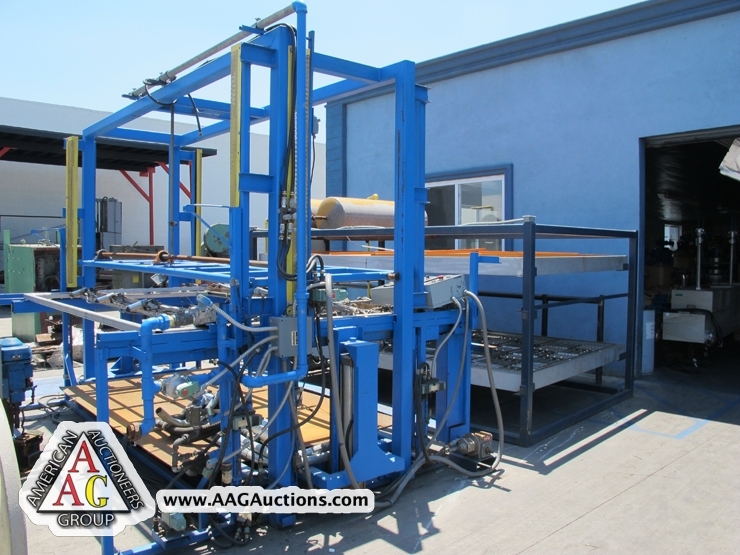 3) DOMINO INK JET PRINTER, VIDEO JET INK JET PRINTER. 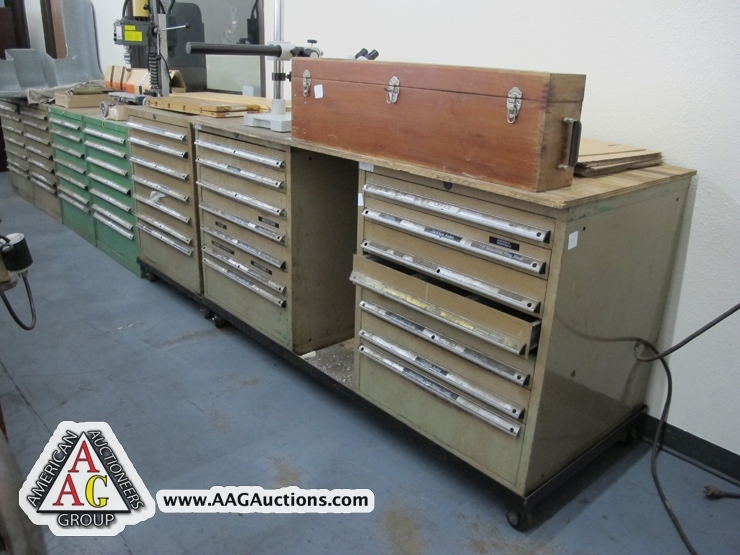 7) LISTA TOOL CABINETS WITH TOOLING. 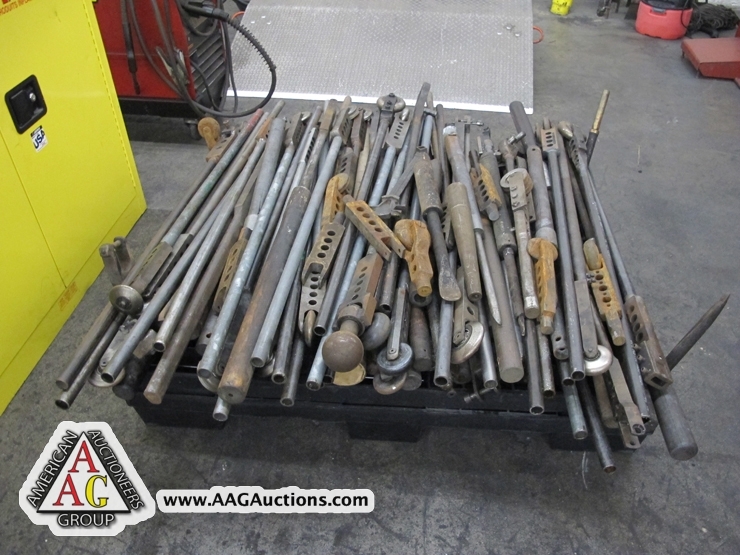 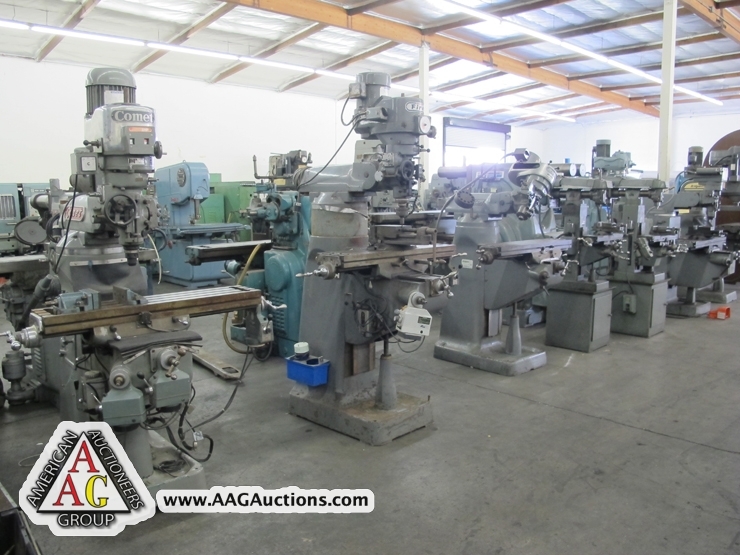 BALDOR GRINDERS, DRILL PRESSES, SANDERS, WELDERS, CHUCKS, AND MANY MORE. 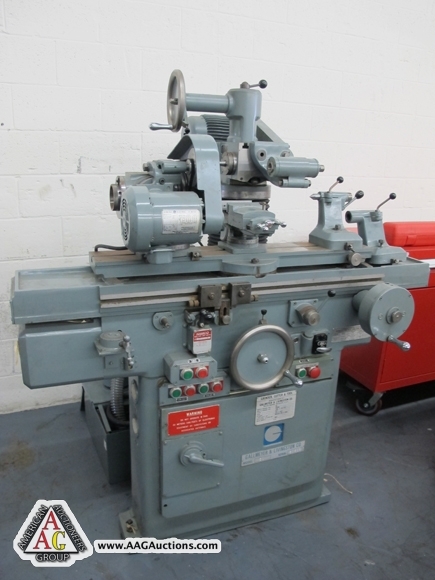 3) NEW BENCH LATHES MODEL 250MM. 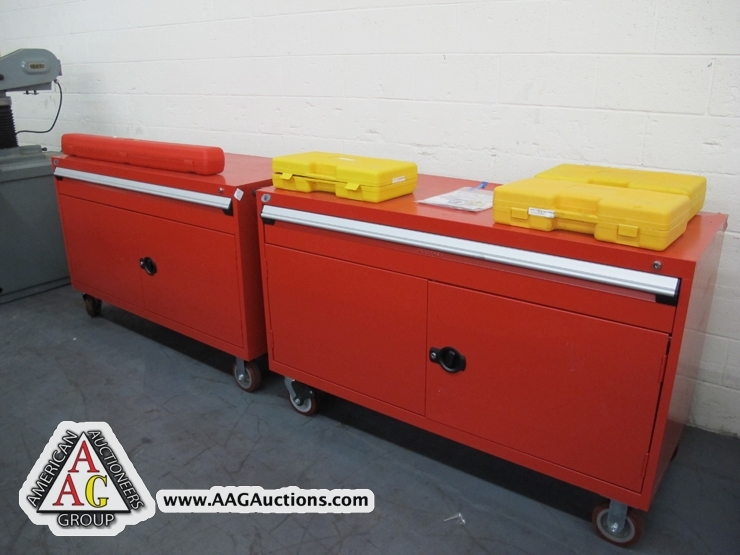 ALL NEW) ROUSSEAU NEW TOOL BOXES, NEW TOOLING, TOOL HOLDERS, VISES, CUTTING TOOLS, HAND TOOLS, INSPECTION TOOLS, TOOL BOXES, PNEUMATIC TOOLS, AND ETC. 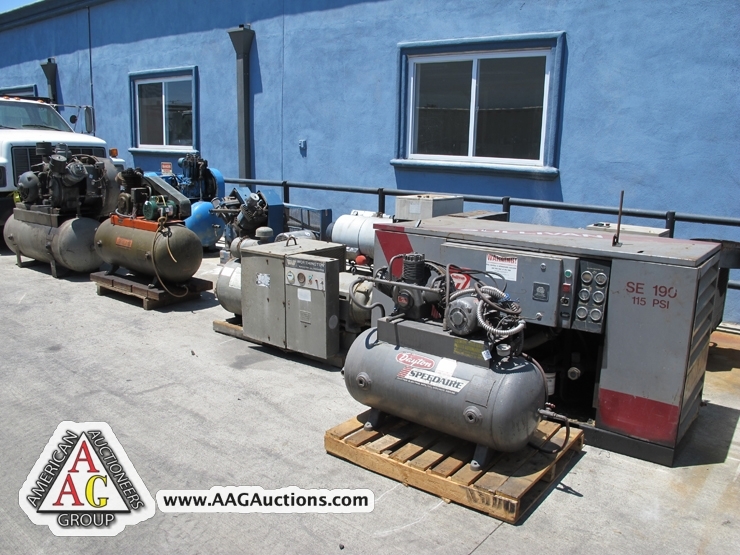 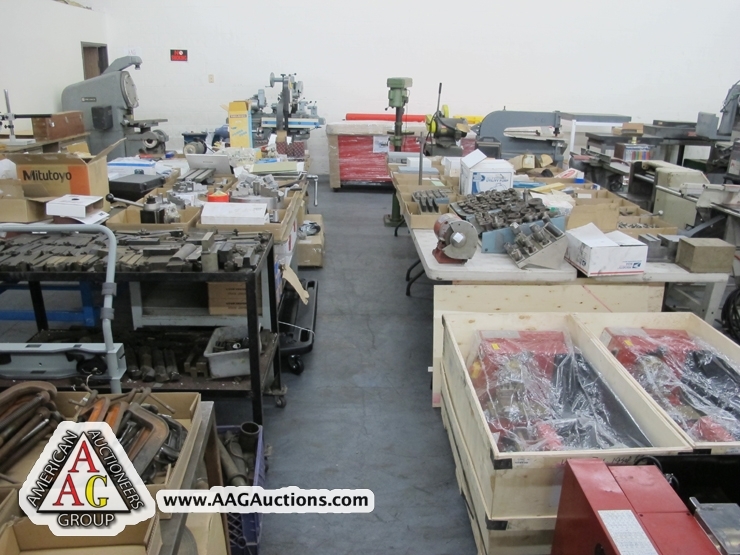 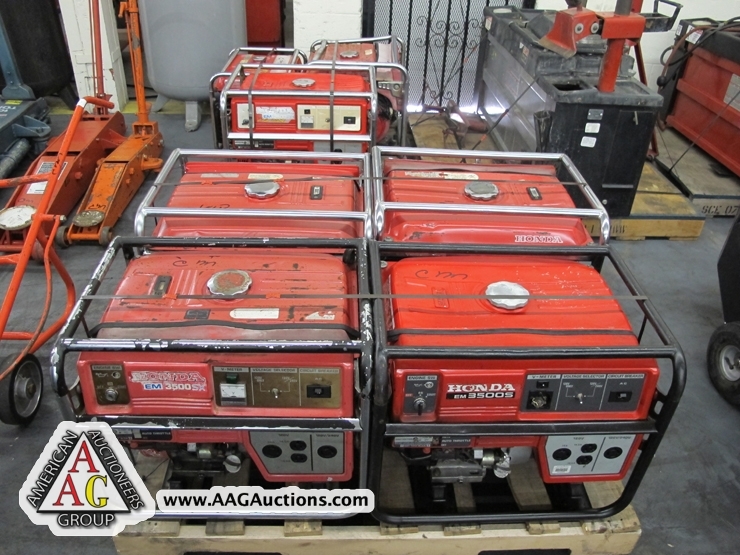 OVER 10) AIR COMPRESSORS, ROTARY, PISTON AND ETC. 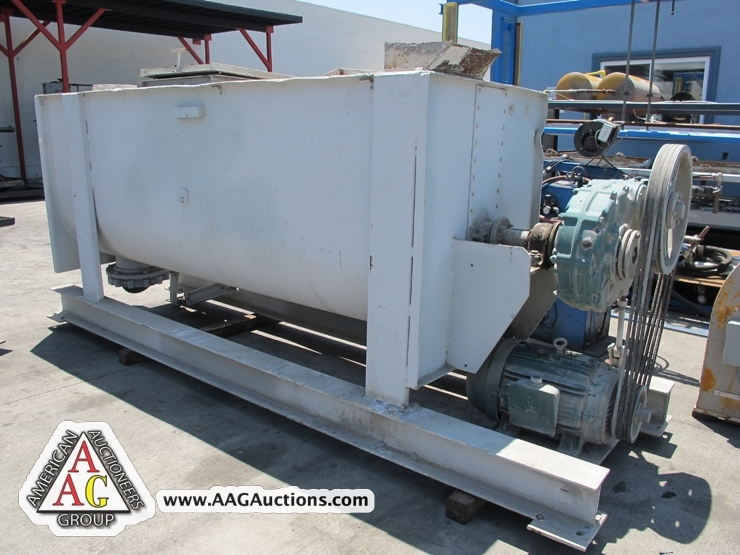 FAN ENGINEERING 4 ½ TYPE BCS GRANULATOR, S/N 94-956. 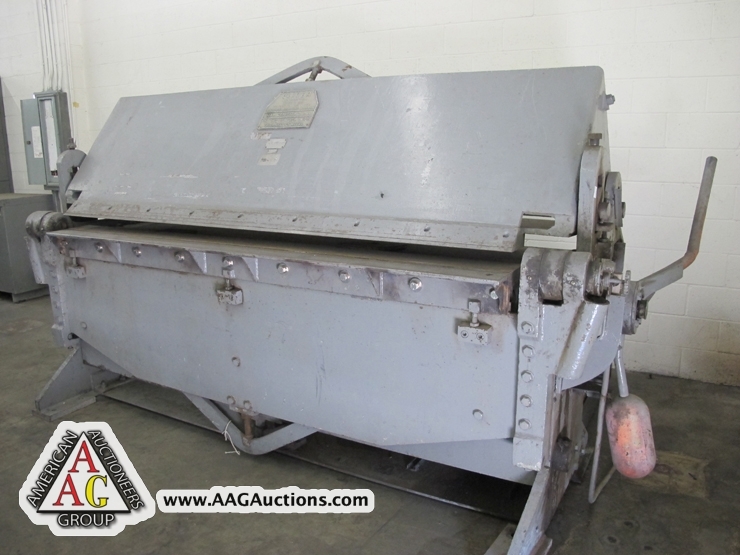 INDUSTRIAL MIXER 10FT X 4FT. 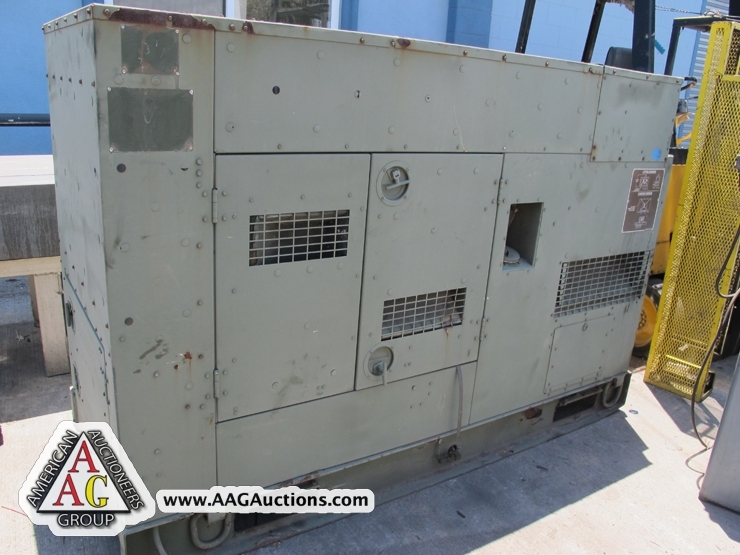 HYSTER 15,000 LB LPG FORKLIFT., VARIOUS FOKLIFTS AND SUPPORT., DIESEL MILLITARY GENERATOR.